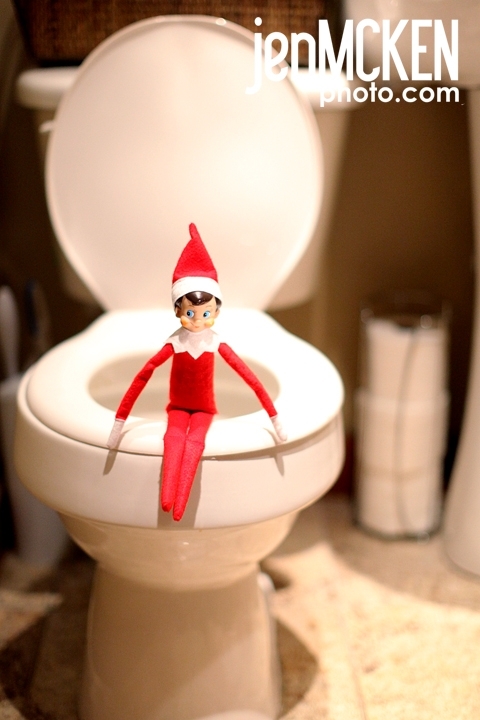 Elf on a Shelf…..what is it? A Christmas Tradition! 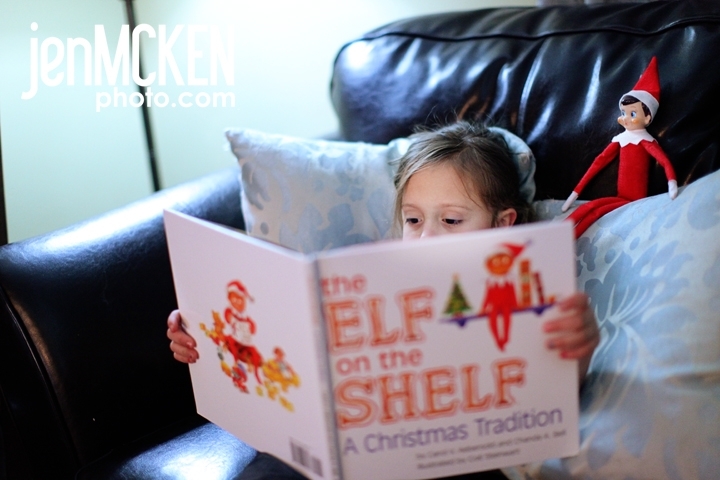 I personaly believe that family traditions are SOO IMPORTANT…so that’s why I fell in love with the Elf on the Shelf book set. 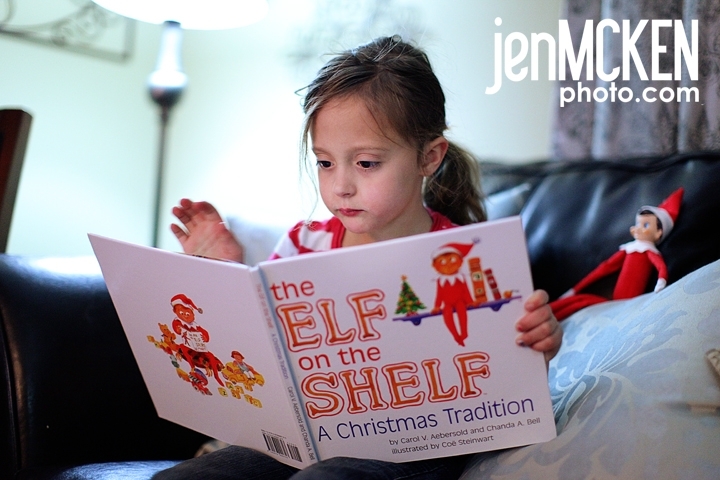 I’ll be honest, I knew NOTHING about this book nor the elf until I went on a shoot for a local family and their kids were telling me ALLLL about it. They were so excited for the elf to come and immediatelyafter hearing the excitment in their voices- I was hooked. I went home Googled it and had it purchased by the end of the day. The day it arrived, I couldn’t wait to open it-I may have been more excited than Mallory….and we sat in the middle of the living room reading the story. She was so excited that she immediatly began plotting the spots she would set him for the upcoming days. So you’re thinking…what’s the point? 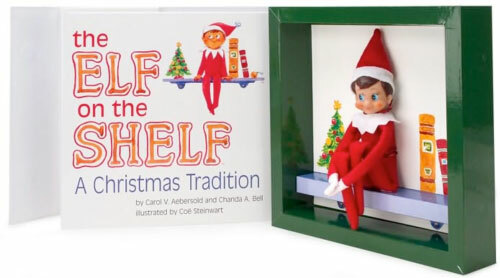 Well….Inside the book set you will find an antique-style Elf (which you get to name), formed to sit on a shelf or perch in your house, as well as a book that explains what the Elf is for. He has an important job. This Elf is assigned to watch over your family and report back to Santa each night about who has been naughty or nice that day. By morning he’s back but he’s in a different place in the house for a daily hide-and-seek ritual. I’m telling you, Greg and I have more fun with it than I think Mallory does and she gets up every morning with the burning question…”Where do you think the elf is today?” Our elf Fisbee is a little shenanigan! He’s always up to something! So of course I’m documenting all the hiding spots our little elf-whose name is Frisbee (he goes and comes back in the morning-get it..hahah). I’m trying to convince Mallory to change his name to Elfis Presley…but she ain’t having it! 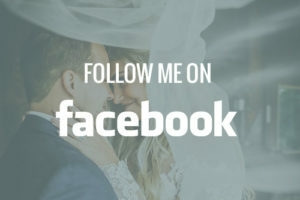 If you follow me on facebook, you may have seen a few of these already posted. 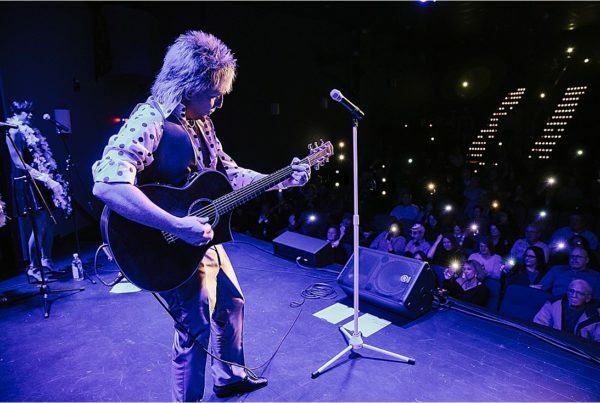 I would share them from night to night….BUT there are some behind the scene photos that I haven’t shared yet. Merry Christmas Everyone!! 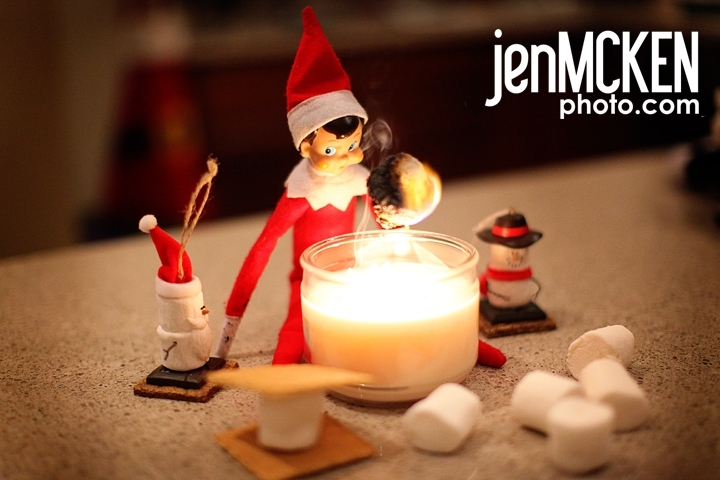 PS: YES…I do think the elf is kinda creepy looking…but it’s an elf…cut him a break! 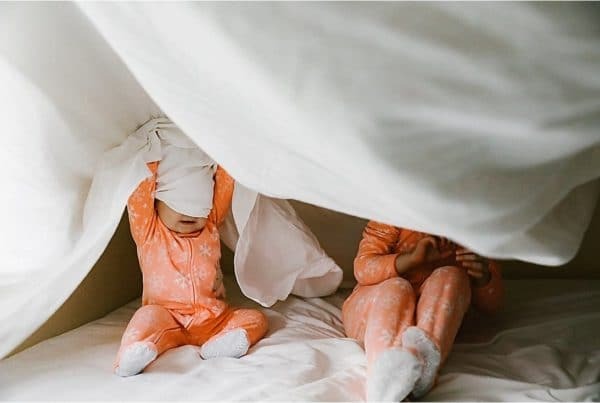 I’m pretty sure I am going to purchase one to keep for when I finally have kids. It’s so cute! very very sweet. 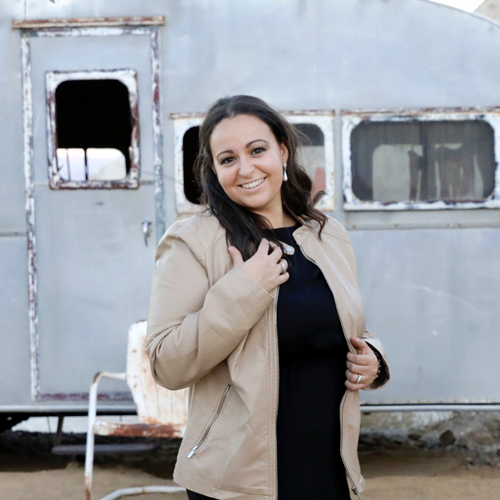 love the photos you’ve done – you should share them with the author!! That is brilliant! We have Fred the Elf who came last year. Our daughter was actually in a pretty naughty phase and she didn’t want the elf to stay! 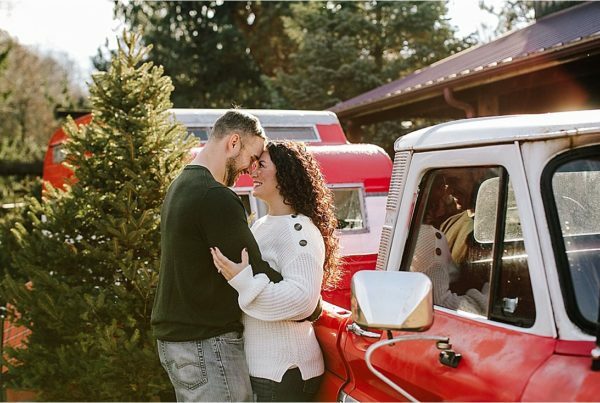 The second day he was there she said she couldn’t wait for Christmas to be over! That made me so sad so I said we would leave a note with Fred to take back to Santa to not come back and that I would just send Santa emails to check in. She changed her mind and embraced Fred! He is so much fun and I am so excited to try some of your ideas out! How did you ever get him to stay on the potty? I am a photography want to be and I love your photos! I can’t wait to look through more of your blog. Your use of light is brilliant! Not only do you take beautiful pictures, your sense of humor knocks me out! 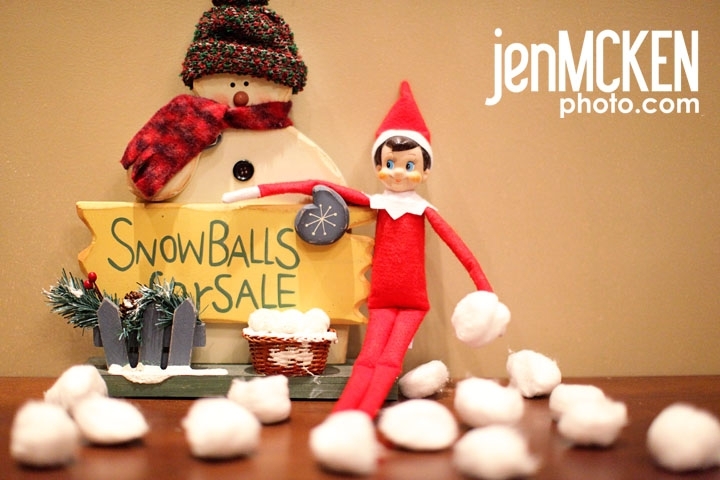 I love these elf on a shelf pics! I’m dropping by via pinterest, but I’m going to share this link with a bunch of my friends! 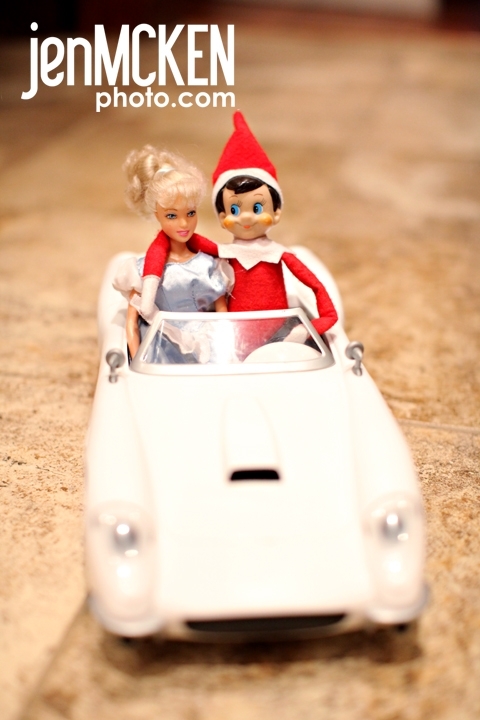 Elf on the Shelf rocks – and is kind of a ladies man if you ask Barbie… LOL! Hi I was just wondering what happens when you find your elf in a spot where he might be touched? Like in the picture of him sitting on the toilet? Does he stay there all day? Because in the story it says he can lose his magic if touched so I was just wondering. 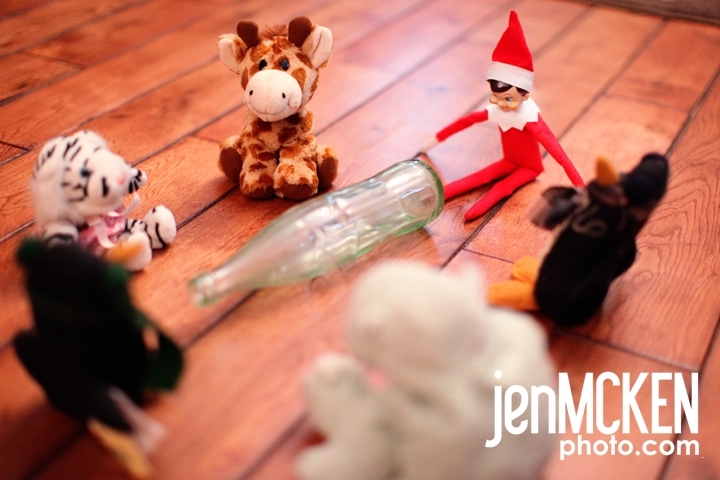 We have had our Elf Eli for three or four years now but he has just always done the same old stuff and I am wanting to try some different things with him..Thanks! I found this on pinterest. 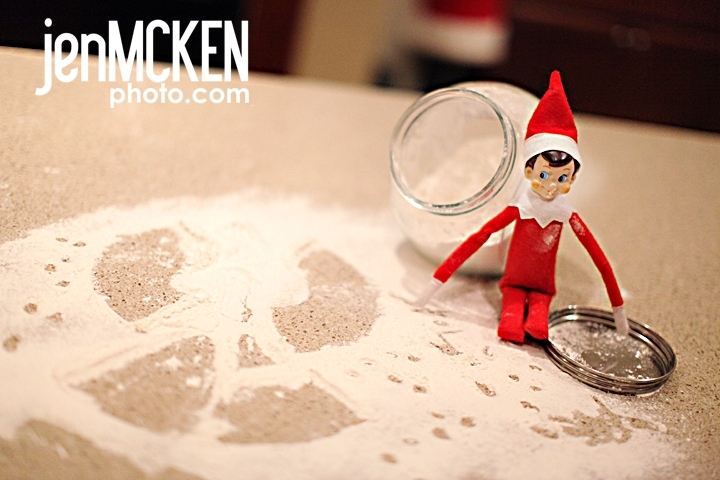 Please come share on my Everything Elf on the Shelf link up. 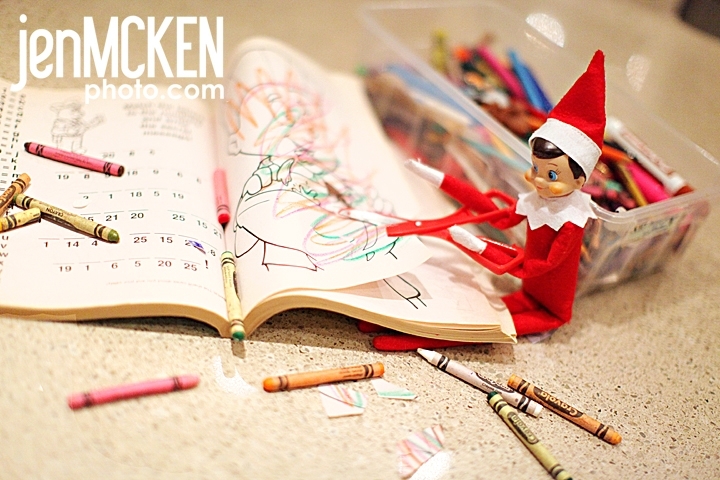 Today I am posting a round up of Elf of the Shelf ideas on my blog http://2crafty4myskirt.blogspot.com. I will be including some of your ideas and link to your blog. If that is not ok with you please me know. Thanks. 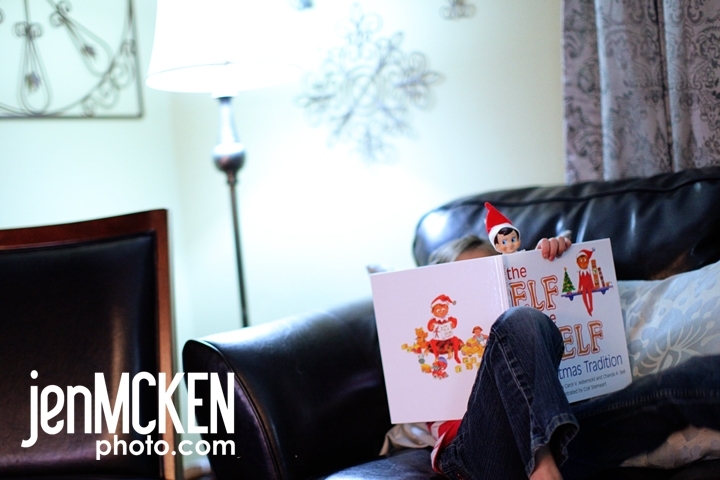 You should check out The Pajama Elves by Hayden Edwards. It is the story of elves at the North Pole who sew magical pajamas that help children sleep on Christmas Eve, so Santa can visit unnoticed. Another fun Christmas tradition for families!